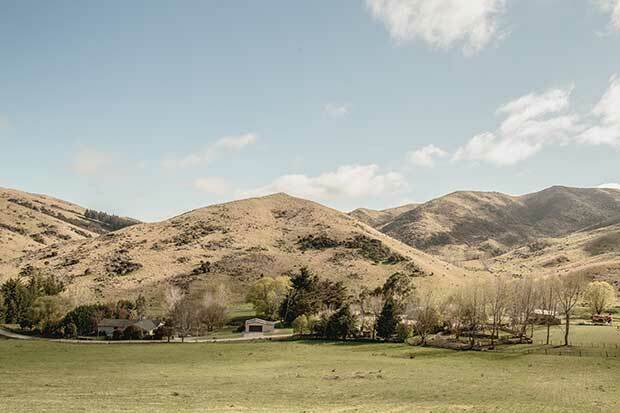 Beneagle, the farm where Hayley Rhind, husband Matt and their two children have settled, is a mere 20-minute careful drive from Blenheim, but it’s a spot of bucolic beauty. Blenheim’s bungalows give way to vineyards, then to the Wither Hills, and then the sealed curves of the road concede to gravel. “Some rocks and cabbage trees” is the cue to turn off to Beneagle. The drive — a farm track, really — has been freshly graded, the farm equivalent of laying out the red carpet. 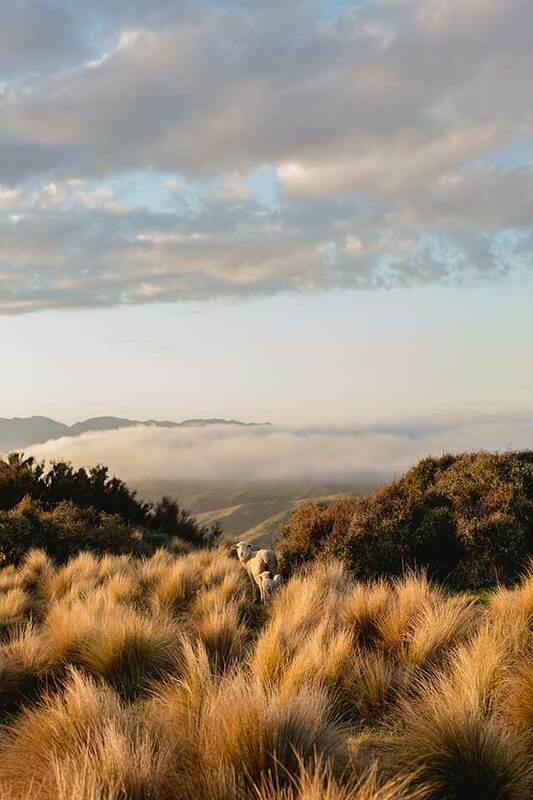 It winds and undulates past manuka and matagouri, rocks and reeds, past cattle stops and “watch for children” warning signs. It’s a beautiful but stressful sweat-inducing drive, grading notwithstanding. 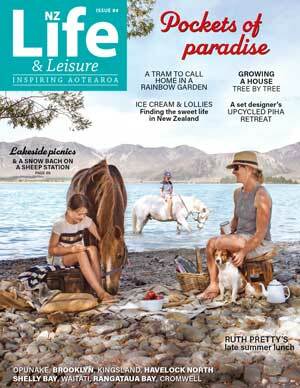 Hayley and Matt Rhind moved to Beneagle, south of Blenheim, three years ago. 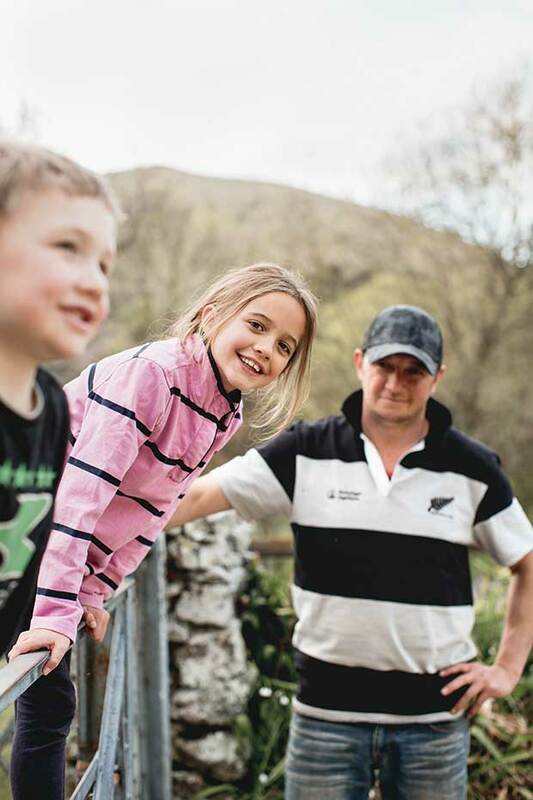 They run sheep and beef and a growing garment business along with their children, Millie (8) and Jed (4), on 1000 hectares of rolling hill country. 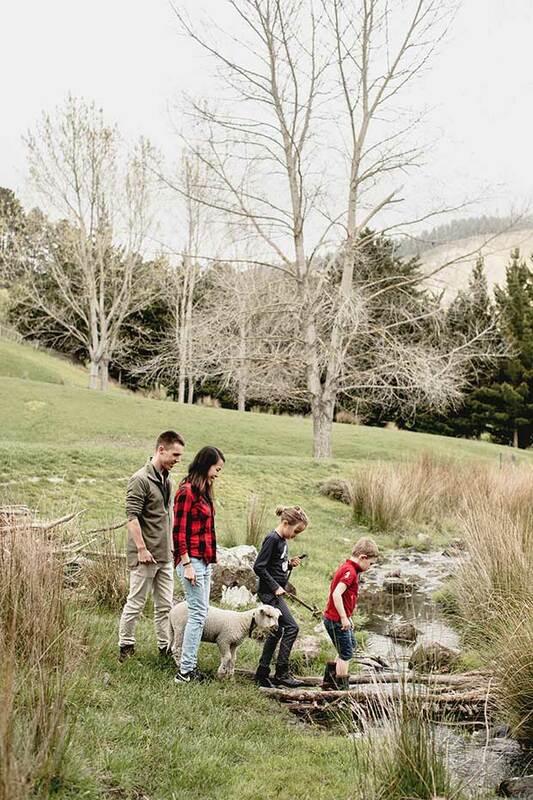 Farm life in gumboots and jeans among dogs, horses, cattle, sheep and pet lambs, is a touch incongruous with Hayley’s other role as founder, designer and director of White Chalk, her New Zealand-made clothing label. But Hayley’s turned her hand to many jobs over the years (possum monitoring for the Animal Health Board, flax seed sales rep, farm worker) so she knows well the value of hard work and hunkering down for the long term. As the daughter of market gardeners on the outskirts of Christchurch, Hayley and her brother Nathan (a mechanical engineer, but now also full time at White Chalk), bagged horse carrots to sell by the road. They were earning spending money for the family holidays, always taken in the winter — the only downtime for most farmers. Their parents granted them a little land planted in onions, and any profits were theirs in return for working the plot. “That taught us that when there’s a good market, you make lots of money. But if there’s a year with disease in which onion prices aren’t so good, you don’t make much. It also taught us that if you work hard enough for long enough, you get the rewards,” she says. Now 33, Hayley’s the first to admit the past three years have been a whirlwind of work — perhaps overwork. With some family help, she and Matt bought Beneagle, 1000 hectares of rolling hill country, moving in April 2015 when Jed was a baby. At the same time, Hayley’s other new baby, White Chalk, was taking off, something Hayley hadn’t planned for at all. White Chalk originated from necessity. “My friends were getting to the stage where they were buying designer clothes, but Matt and I were saving hard for the farm. Nathan, and his now-wife Ginny, was living in Hoi An, Vietnam, which is full of tailors. I asked Ginny, ‘If I draw up some pictures for you, could you get me some clothes made?’ So I drew some designs and sent them over. It was like Christmas when they came back. “Then my friends started asking if they could get the clothes too. Ginny and I talked about starting a business and selling stuff on Facebook. I would design and sell, she would organize the fabrics, the factory and the shipping, and we would split the profits.” That’s still roughly how the company is organized, with Hayley holding half of the shares, and Ginny and Nathan the rest. “Because I’d been a sales rep, I decided to go on a selling trip, thinking if we got some retailers we could make a bit more money. We did a little photo shoot to make a catalogue and I sent it out to a few shops around the country thinking if we heard from a few, that would be quite good. A heap came back saying they’d love to see more. “I went to see them, thinking if we got five shops I’d be quite happy. We ended up with about 25 shops, including one that did a huge order on the spot. I was acting cool, but it was terrifying — we still had to work out how to fill the orders. But it gave me the confidence we were doing the right thing.” Ginny swung into action, organizing the factory to fill the order. Hayley joined Ginny and they visited a massive fabric market in Guangzhou, where they still go for fabrics. The challenges didn’t stop when that first order arrived. “It was a learning curve. The order arrived so late we had to re-package it and send it out to retailers without time to check the clothes. It was a nightmare. 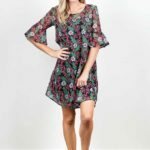 The retailers were calling saying the sizes were wrong, there were quality issues, that they ‘loved the look but it’s not right’. 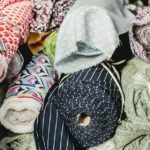 I was close to chucking it all in, but a few of the stockists were particularly supportive, telling me I was onto a good thing but needed a new factory. Business partners in White Chalk and occasional baby-sitters, Hayley’s brother Nathan Moore and his wife Ginny, are joined in a walk by Millie and Jed Rhind plus pet lamb Elizabeth. 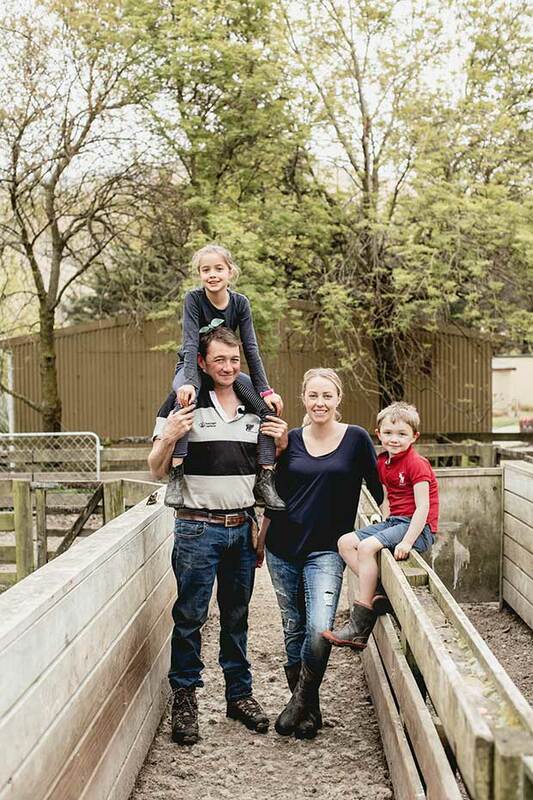 Both Hayley and her husband Matt grew up in Canterbury (he near Darfield, she near Christchurch) and didn’t intend to buy a farm in Marlborough. 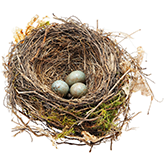 Their first two years on Beneagle — a dryland farm — were drought years, but they survived. 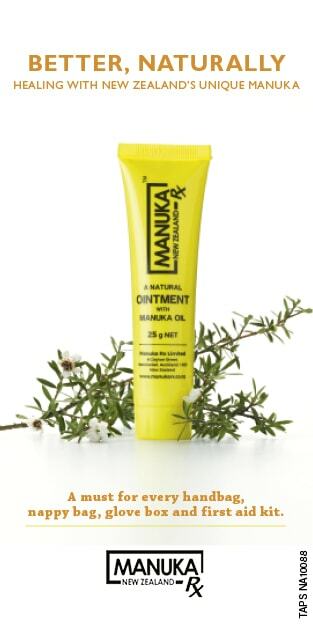 “In the end, it became a positive thing because I gained such a good relationship with my stockists. 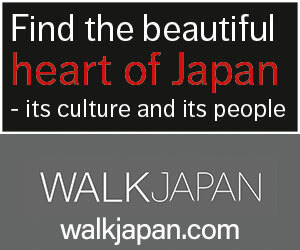 If everything had gone well, we would have said, ‘thank you, see you next time’. This way, I got to problem-solve with them. 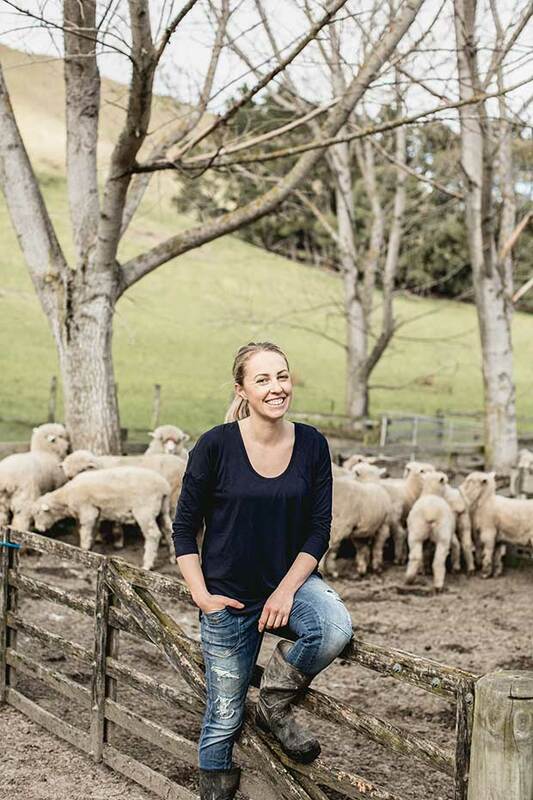 We stood by our products and 100 per cent refunded any returns.” With a few collections under her belt — and a new factory performing better — Hayley decided to introduce some New Zealand merino to the range, so searched for a New Zealand manufacturer. In a climate where everyone is shutting down, it was fruitless until she was referred to Forward Fashion, right in Blenheim. At the same time, Ginny and Nathan were keen to return to New Zealand. They joked about producing the whole range at Fashion Forward. 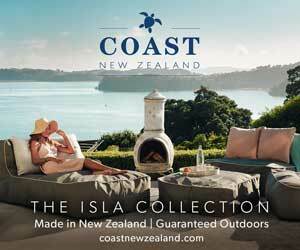 The jokes turned serious, and the first New Zealand-made collection of White Chalk was launched in August 2017. 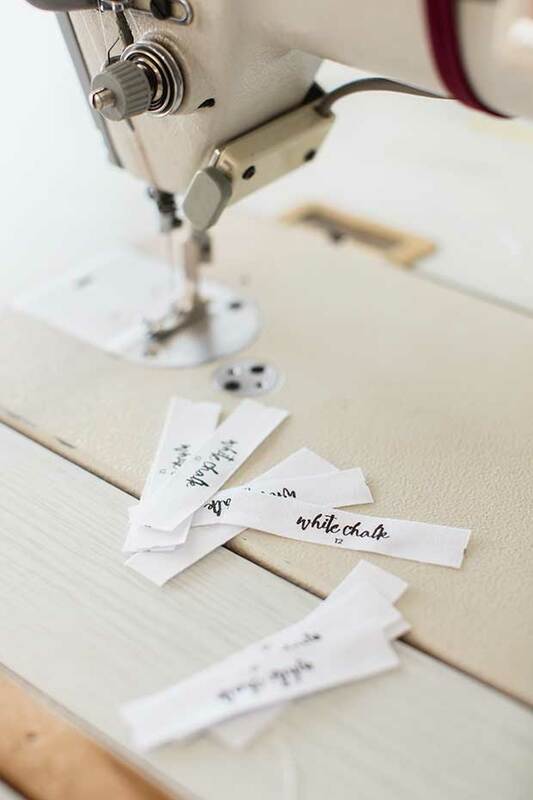 All White Chalk’s garments (as well as sister labels Ruby & Rain and Beaut) are made in Blenheim at Fashion Forward. Garments from the current White Chalk collection. White Chalk’s models are Hayley’s friends, not professional models. “I like that they’re natural and everyday people,” says Hayley. 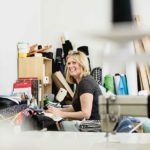 Fashion Forward’s owner Bronwyn Cairns is surrounded by fabrics. Hayley’s brother and business partner Nathan is also the label’s photographer. Sales are already healthy for a business that’s only just reached its third anniversary. The first year they sold 4000 units, the next they sold 10,000 and this past year White Chalk racked up 30,000. 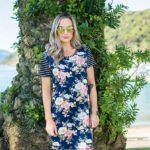 Hayley won’t talk profit, but says they broke even in their first year — something few new businesses can boast — and now have an annual turnover of $1 million, with White Chalk in 40 outlets nationwide plus her own shop in Blenheim. 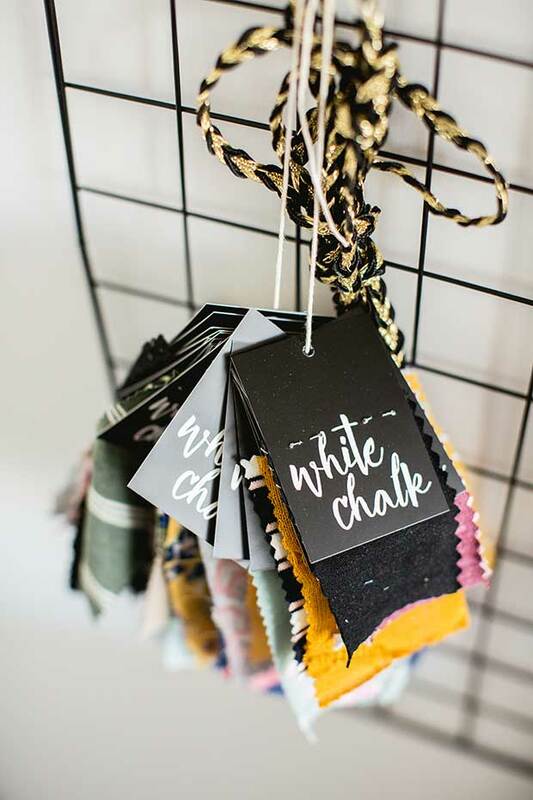 White Chalk has a retail outlet and office space in Blenheim. Hayley’s the first to say White Chalk isn’t high fashion. She’s not a trained designer (although her diploma in agribusiness must help with the business side), she doesn’t read fashion magazines, and doesn’t even like shopping. 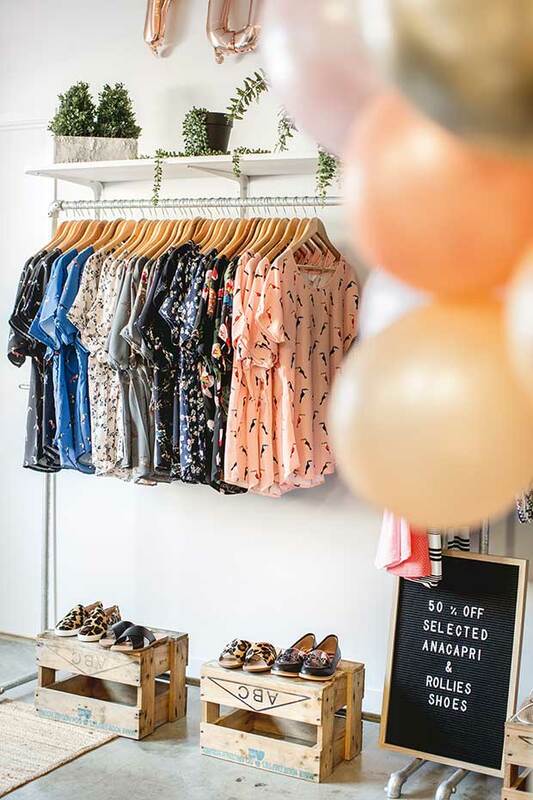 But she knows how to design pretty, comfortable clothes, which are brought to life by a Wellington-based pattern-maker, sewn up at Fashion Forward and released each season to her waiting customers. 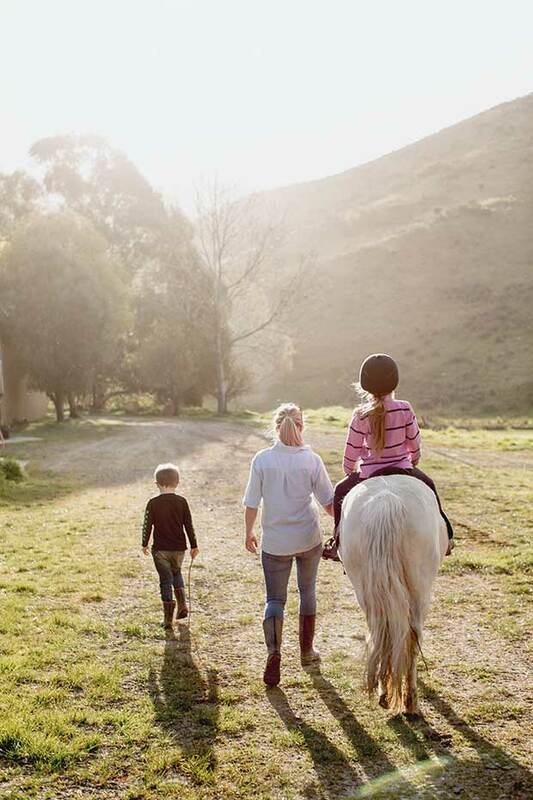 Hayley and Matt love that they can offer their kids the farm lifestyle they grew up with. “We did wonder if Beneagle was too close to town. We’d envisaged our kids going to a country school, whereas they go to a Blenheim school. But it’s the best of both worlds. Here, the kids have such freedom and we can just let them go. They learn common sense and they’re good at making their own fun; riding bikes, making ramps, playing for hours in the dirt. They’re pretty robust,” says Hayley. 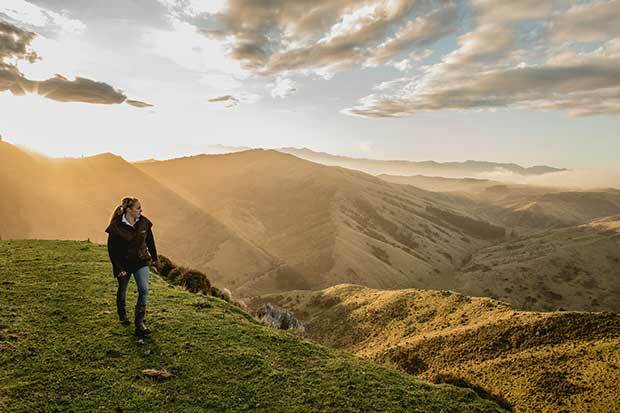 With Ginny now in New Zealand running the retail/customer service side of White Chalk, Nathan taking care of process planning, photography, the website and anything technical, and two sales reps selling, Hayley’s hoping to spend more time back on the farm as “the boy”. 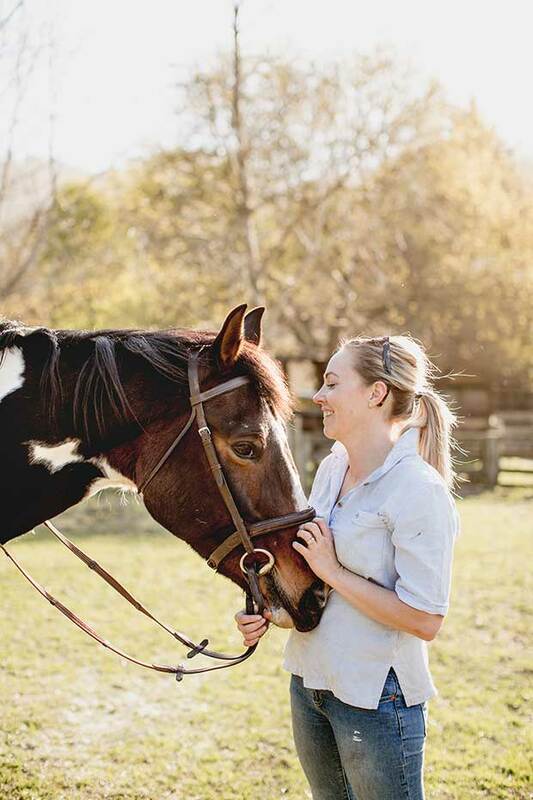 It’s what she wanted after all – farm life. Millie rides her pony, Sage. Indeed, Matt has the look of someone far more suited to the outdoors than a three-piece. He stays well away from the fashion business. “I only get involved to unload material,” he says. A double garage on the farm is chock-full of stored fabric. Hayley and Matt knew each other as teenagers, then reconnected over Facebook when Hayley was away traveling, getting together in their early 20s when she returned. 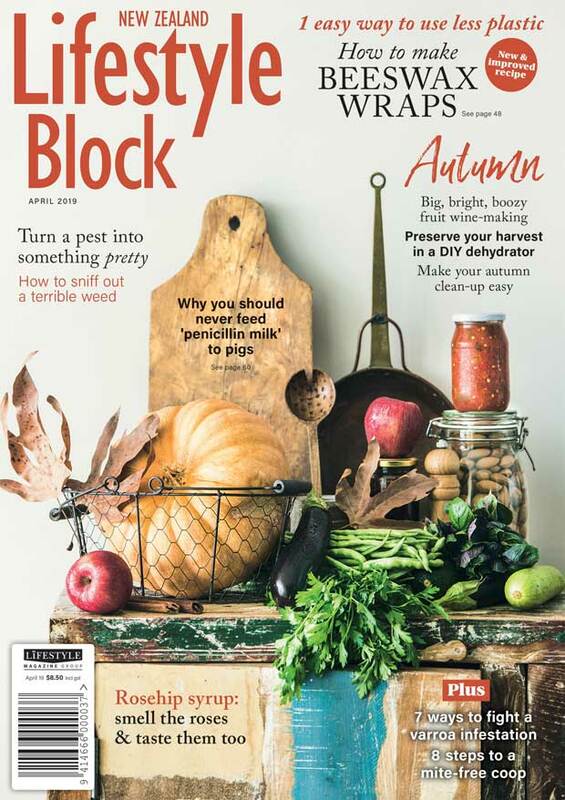 Ten years later, through possum monitoring, kids, the stress of a new farm, a massive mortgage and a galloping clothing business, “we’re still married”, says Hayley. 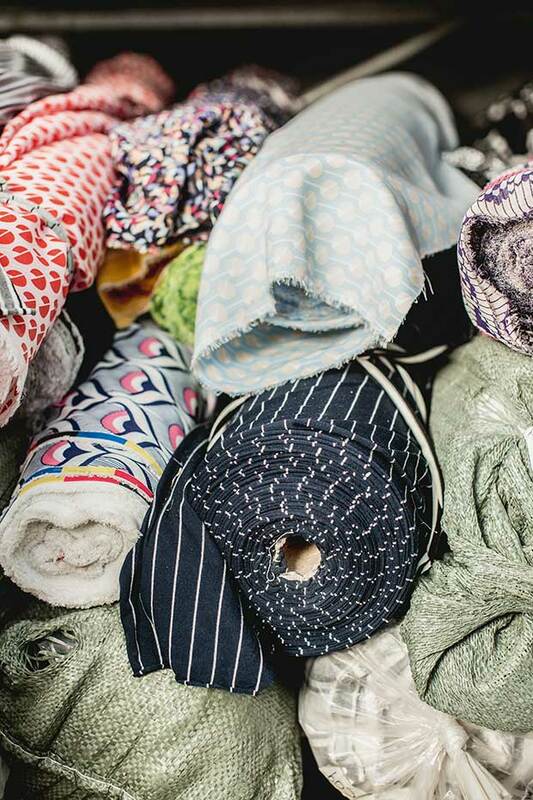 White Chalk’s fabric comes from China, from a tiny corner of a massive fabric market in Guangzhou. Nathan and Ginny Moore — Hayley’s brother and sister-in-law — travel four times a year to source fabric, with Hayley joining them on two trips. Hayley spends a night flying, two and a half days on the ground selecting, then another night flying back. 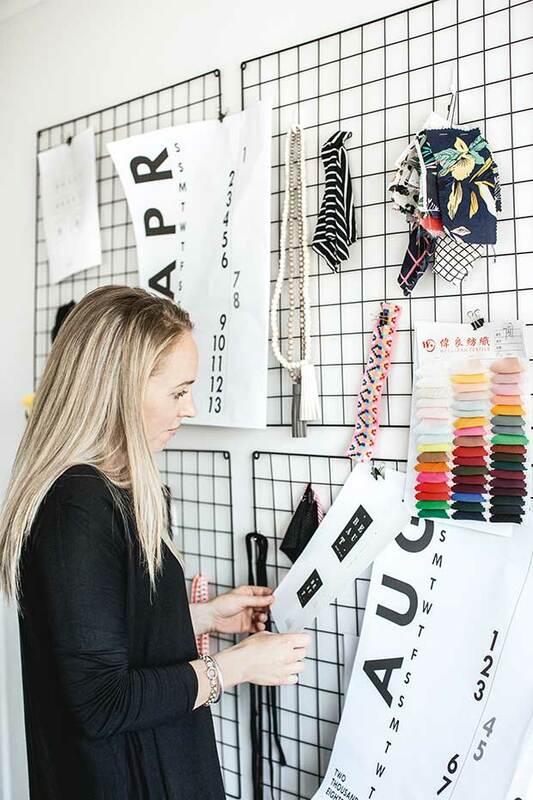 Along with White Chalk, Hayley has launched two affiliated labels, Ruby & Rain and Beaut. 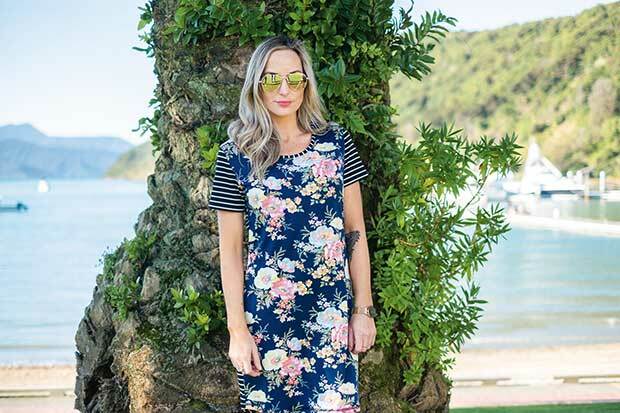 While Beaut’s range of neutral-coloured essentials only launched in October, the plus-sized Ruby & Rain range “is going nuts – it keeps selling out”, says Hayley.